Diary of a canine convert: The Wall of Sound: Signals, Praise, or White Noise? The Wall of Sound: Signals, Praise, or White Noise? I was listening to a radio interview from my friend, Muriel Brasseur from the Oxfordshire Animal Behaviour Centre, the other day which was about the subject of how dogs communicate with humans. The interview was about a newspaper article which focused on some research into how dogs pick up on our ‘intent to communicate’ with them, not just through our voices but also the visual cues we give too. 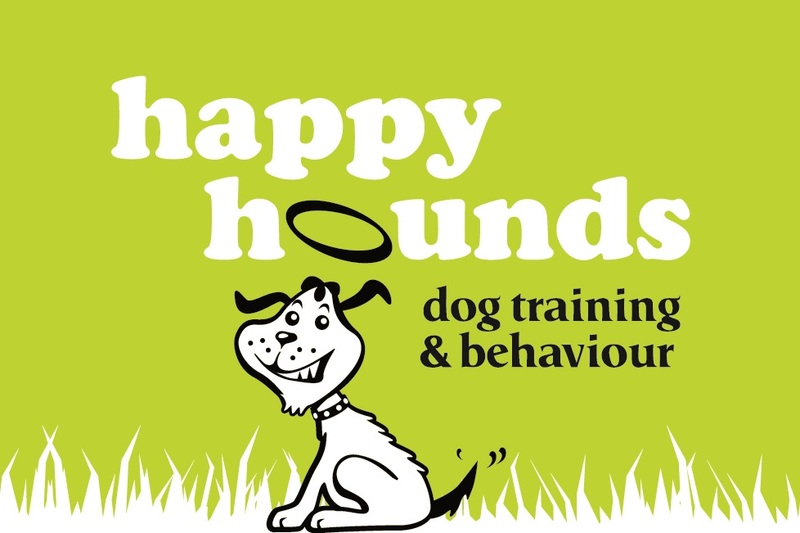 Many of us working with and living with dogs already know how adept dogs are at reading our body language and that our hounds take in the whole package of verbal and non-verbal communication signals we give them. One of the things that Muriel said in the interview was about training herself out of chatting with her dog when undertaking obedience training and helping dogs avoid just hearing a wall of sound. This really got me thinking about how I communicate with my own dogs. 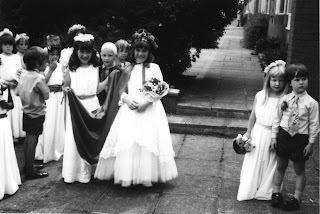 I'm the one in the crown (being very quiet)! Anyway, you get the picture: I like to talk. I’ve moderated how and what I say as I’ve grown older, particularly in a work situation, however I do find myself chatting to the dogs and cats on a fairly regular basis. When I lived by myself I chatted to them rather than doing a ‘Shirley Valentine’ – chatting to the wall. In my training classes I stress the importance of only giving the voice signal once and not repeatedly saying, for example, sit, sit, sit, sit, SIT (normally getting progressively louder, as the dog doesn’t comply). And explain that repeatedly saying a signal without the desired behaviour from the dog can lead to learned irrelevance. Overusing the word/cue without the dog displaying the wanted behaviour means the word loses its relevance and ‘sit’ doesn’t really mean sit anymore. What the interview got me thinking was: does this and can this apply to praise? I like to praise people and dogs when they do something right and because I can be quite effusive when I talk, I wonder if I sometimes go over the top. Does this mean, like repeatedly saying a voice signal that the praise starts to lose its meaning and the dog tunes out? Should I be using praise like I would use a high value food reward? I’ve looked back at some of the YouTube footage of me and Mina in some training sessions – in some I praise effusively and a lot, in others I still praise but not as much. It’s certainly got me thinking though. Silence can be golden – I’ve noticed that if I’m calmer both in tone of voice and what I say, Mina is calmer too and it doesn’t affect her responsiveness to me, but then again when I’m excitable and praising, Mina reacts in a similar manner. There are so many stimuli for our dogs to pick up on – all the interesting smells to investigate, all the interesting things to see and all the things (to potentially) taste and sometimes I wonder if adding our voices on top of all the other sounds may just add another layer to filter out? I’m sure this differs dog to dog and owner to owner but I’d be really interested on what you think, so please do share your thoughts.